Guys, let us ask you a question — Are you taking proper care of your feet? When we ask this, we’re specifically talking about your toenails. Is your wife or girlfriend complaining about these daggers cutting her every time you come to bed? Is one of your ways of “cutting” them by picking at them with your fingers? Fellas, it’s time we talk about men’s toenail care. Before we get too far into this, let us preface this by saying that we understand toenail care isn’t the most enjoyable thing in the world. Very few people wake up each morning with anticipation to clip their toenails, but it’s something that should and needs to be done on a regular basis. There are tons of men’s foot care products and men’s foot care kit options to choose from to help make work on your toenails as easy as possible, but these kits and products won’t do you any good if you don’t know proper techniques and tips to put in place when it comes time to trim. As such, here are 4 help tips to make your toenail care routine as effective and efficient as possible. Contrary to what some people think, men’s toenail care consists of a lot more than just clipping your toes every now and then. You can’t have healthy toes without healthy feet, and because of this, it’s extremely important to always keep your feet/toes as clean and refreshed as you can. Taking time out of your day to wash your toes and feet only isn’t something that everyone is able to do, but that doesn’t mean you aren’t able to give your feet the attention that they deserve. The next time you take a shower, set some of that time aside to really clean your feet! Scrub your feet with a lot of soap and warm water in your shower, and wash away any dirt, grime, or other nastiness that builds up on and around them throughout the day. Plus, while you’re already scrubbing away down there, clean up any dirt you notice in your toenails too. Doing this once a day or however often you shower will quickly provide you with cleaner feet than you ever imagined having, and having healthy feet will equally promote good toenail health as well. If you’ve ever put on a pair of shoes that are too tight or too big, you know just how uncomfortable it can be. No one likes having their foot slide around or being squeezed up tight in an ill-fitting shoe, and along with being incredibly uncomfortable, it’s also not good for your toes. You may not think a whole lot about wearing a pair of shoes that feel a little too tight or cramped, but wearing these all day long can have a real impact on the health of your toenails. Just like your entire foot, you need to make sure that your nails have proper room to move and breath in the shoes that you regularly wear. If you have a pair that’s a tad too small, having your toenails cramped together for hours on end can easily cause pain and other irritations. The best way to make sure that your shoes fit you as good as possible is by getting your feet sized and measured by a professional at your local shoe store. You may think that you know your foot size and what shoes fit you the best, but many men often go their whole lives wearing a shoe size that’s either too big or too small for them. In either of these two cases, you aren’t doing your feet or your toenails any favors. 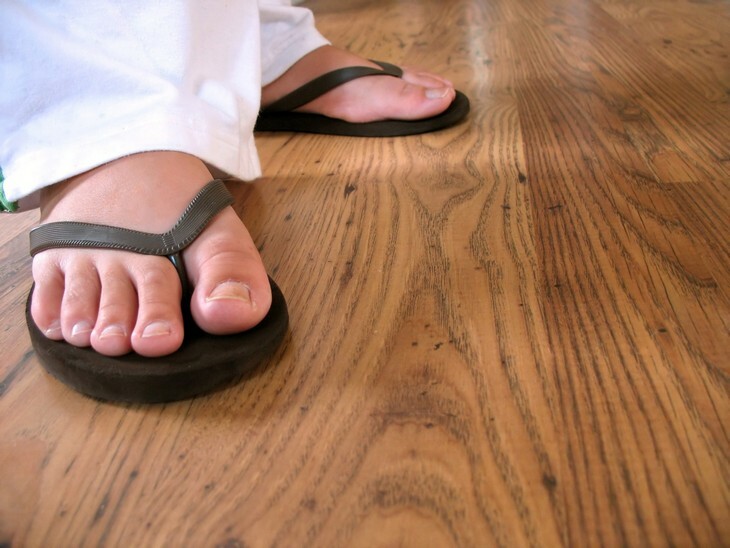 Set up a routine that fits within your schedule to clip your toenails, and make sure you stick to it no matter what. And, when you do go to trim those toenails of yours, make sure you’re doing it in the proper manner. I recommend the Haperton Nippit toenail clippers (available on Amazon). There is a wrong way to cut your toenails, and when you do, it can be painful and cause for foot problems later on down the road. When clipping your toenails, do so by trimming straight across the nail and not to the edges or on the curve. Additionally, you’ll also want to be careful about not trimming your toenails too short. Clipping your nails down to nothing can be very easy to do, but doing so will absolutely make you prone to ingrown nails or other infections. Knowing how long should men’s nails be isn’t common knowledge, but a good rule of thumb to go by is to clip your nails so that the tip of your toenail is right at the edge of your toe. Once you finish up trimming your toenails, you’ll see that they’re very straight and sharp at the edges by clipping straight across. You can choose to leave them like this, but if you want to round them off to be more comfortable and look a bit more attractive, you can easily achieve this with a nail file. Any nail file should do here, but if you want to have the best experience possible, there are a lot of files that are made specifically for use with feet. Take your file, smooth out the sharp edges of your toenail, and you should end up with the look of a square with edges that are rounded. This looks much better and more finished if you take the time to do so, and although it isn’t technically required, it’s certainly something that we recommend doing. There’s a lot more to men’s toenail care than what meets the eye, and while all of these tips might seem a little overwhelming at first, the end result that they deliver is well worth the added investment. Having clean and healthy toenails will make both you and your partner happy, and by following these 4 tips, achieving that happiness is as easy as one, two, three, four. 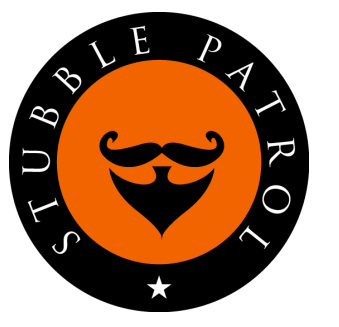 StubblePatrol.com is a participant in the Amazon Services LLC Associates Program, an affiliate advertising program designed to provide a means for sites to earn advertising fees by advertising and linking to Amazon.com. This site also participates in other affiliate programs and is compensated for referring traffic and business to these companies.